Christina Esquivel - Leigh Hilton P.L.L.C. 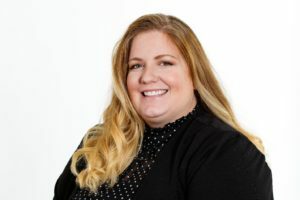 Christina Esquivel is the Business Office Manager at Leigh Hilton, PLLC and has been with us since 2017. Christina graduated from the University of North Texas with a Bachelor of Arts in Art History and Art Education. While at UNT she met her husband AJ and together they enjoy traveling, going to plays/musicals, concerts and movies. Originally from Temple, Texas, she has called Denton, TX home since 2013. Christina and AJ have recently opened up their hearts and home to become foster parents. They are excited about this new adventure. Christina is actively involved in Journey Fellowship Church, helping with VBS and youth group. She is delighted to be part of such a great team at Leigh Hilton, PLLC. She enjoys getting to know each of the clients and helping them plan and prepare for their future and that of the following generations.